1/28.- Tarifa, welcome to Tarifa! Tarifa is a beach town at the southern most tip of the Iberian Peninsula, Spain. 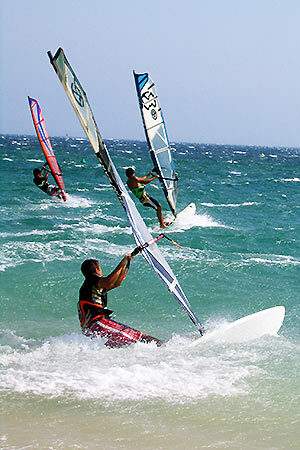 The town is famous for its strong winds, that draw windsurf and kite surf enthusiasts from all over the world. Tarifa is also popular among tourists for its moderate climate, and for its nightlife action. On the following pages I will give you a sneak preview of this unique town.